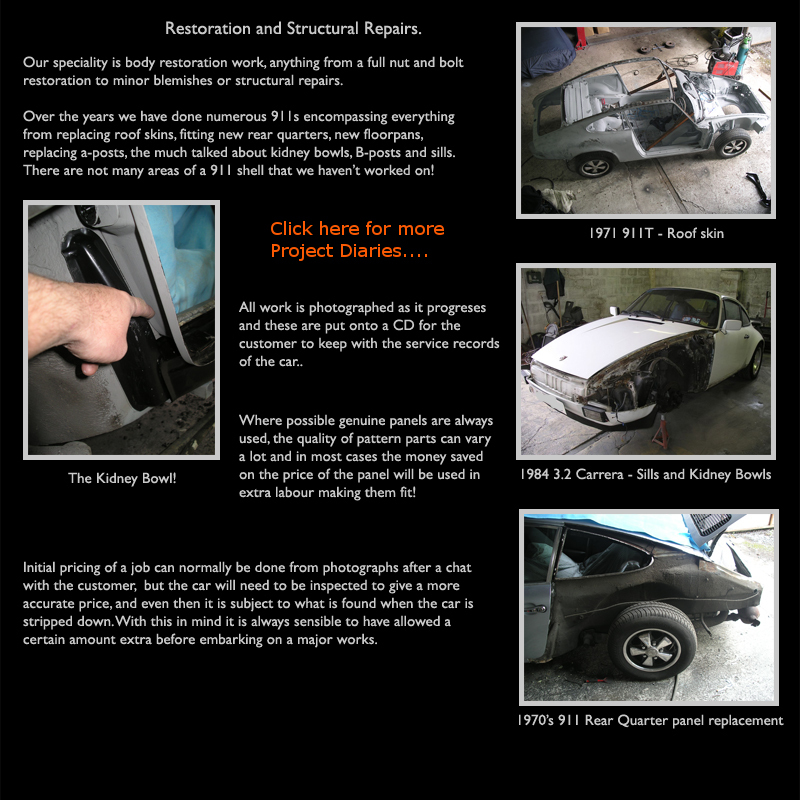 Body restoration from full bare shell repaints to new sills and Kidney bowl replacement. Full or Top end engine Rebuilds, Snapped Head studs replaced. Clutch replacement.